The term USDA is typically preceded by the phrase “Grade A” and refers to a great cut of beef served at a restaurant. However, the United States Department of Agriculture (USDA) is responsible for more than assuring that quality meat is provided at local butchers and eating establishments. The organization also offers mortgage loans for home purchase. 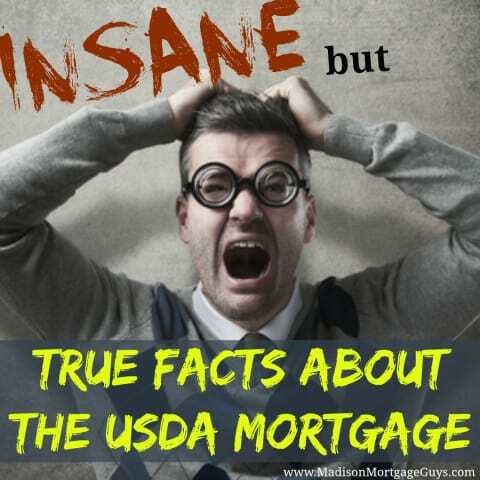 Although some of these things may sound too good to be true, or even insane, all of the following facts about the USDA Home Loan program are 100% true. Disclaimer: Before reading any further please understand one very important point. The goal of this article is not to cast a bad light on any other type of mortgage loan. There are lots of good mortgage loans available to a wide range of buyers. This article is simply showing some of the advantages of one type of mortgage, the USDA home loan. With that out of the way, let’s begin. Most loans only allow borrowers to get a mortgage up to a certain point. For example, the VA mortgage and the conventional mortgage typically will not provide a loan higher than $484,350. FHA may loan a bit more, up to $625,000, but it must be in a high cost area such as Los Angeles, Chicago, New York city, etc. Otherwise the limit is much lower. For a USDA loan, there is no expressly written limit provided in the guidelines. Loan amount limits are based on falling within the income limits and debt ratios of the USDA Rural Housing program. At one end of the spectrum is the FHA mortgage that has allowed borrowers with less than perfect credit to qualify for a home. Moving along the spectrum we come to the VA mortgage which is slightly stricter in terms of credit than FHA. Then there is the conventional and Jumbo mortgages that usually only allow people with the highest credit scores to qualify. The USDA program guidelines are closer to the FHA mortgage loan rules. In fact, people who do not have much established credit may even qualify with other sources of payment history. Examples can include utility bills, car insurance payments and a steady history of savings. The VA mortgage is one of the last remaining programs that will allow borrowers to buy a home without making a down payment. The FHA program requires a 3.5% down payment* and a conventional loan can range from 3% all the way to 20%. Jumbo loan requirements have changed in recent years and some lenders will allow only a 10% to 15% down payment, but that is not always the case. Many buyers seeking a jumbo home loan must often pay 20% to 30% as a down payment. The USDA program will allow borrowers to receive a loan up to the home’s appraised value. The VA program has held fast to their single rule that the borrower’s current debt, plus proposed mortgage, may not be higher than 41% of the person’s monthly gross income. On the other hand, a jumbo loan may have lower ratios for overall debt-to-income and specific ratios for comparing just the mortgage payment to the borrower’s income. The FHA guidelines, generally speaking, have two ratios. The person’s overall mortgage payment should not be higher than 31% of the borrower’s monthly income. The mortgage payment added to existing debt should not be more than 43% of the monthly income. USDA mortgage guidelines are very similar to the FHA rules. This protects borrowers from buying a home that is too expensive for them. Mortgage insurance is a necessary fee to protect the lenders. In order to offer mortgages with such low down payments, the lenders take on the risk that the borrowers may not be able to fulfill their obligation. Mortgage insurance fees help cover some of that risk. For FHA loans there is a fee paid at time of purchase of 1.75% of the loan amount. This charge is usually added to the loan. In addition, 0.85% of the outstanding balance is assessed each year and spread over the next 12 payments. View current FHA Mortgage Insurance Premiums. In a similar fashion, the VA home loan charges up to 2.4% (first time use) of the total loan as a mortgage insurance fee. No other mortgage insurance fee is charged. View current VA Funding Fees (pdf). The USDA charges 2% of the initial loan amount as mortgage insurance. However, the annual mortgage insurance charge is only 0.5% of the remaining balance and is spread over the following 12 payments. Like FHA, these charges are added to the overall mortgage loan. View current USDA Up-Front and Annual Fees. USDA home loans are the best kept secret in home buying. If you’re not a U.S. military veteran, this is the only way to get a zero-down loan with rates even lower than those offered by Fannie Mae and Freddie Mac. What’s the catch? None really, except that the home must be in an area designated “rural” by the US Department of Agriculture. But don’t start thinking farms and backwoods. Established suburbs across the U.S. are eligible. The USDA has not updated their eligibility maps in nearly 15 years. Based on the census in the year 2000, the maps do not take into account the massive growth in suburban areas over the past decade and a half. For home buyers, that means a window of opportunity to pay zero-down for a home that is close to employment, schools, and recreation. But that window is closing. USDA tried to update their maps in 2013. That date was pushed out to 2014, then again to October 2015. Will they put off updating their happily outdated maps to 2016? I sure wouldn’t count on it if I were looking for a home. Get qualified for a USDA loan now, and take advantage the least known but most advantageous loophole in the mortgage market. 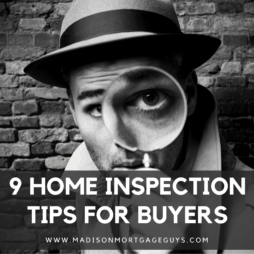 By now you are probably asking “where’s the catch?” After all, if a person with less than perfect credit can buy a home with no money down, it would seem like people would fill the real estate offices with offers to buy a home. There are two small catches that can be handled by most borrowers. The first catch is the home’s location. USDA will only offer a loan on a home that is situated in an area deemed rural. Before you stop reading, please understand this one important point. The vast majority of every county located across this great country has some area deemed rural. In fact, most of the outer lying areas of some of the biggest cities are actually deemed rural. This means that almost any major city or town will have numerous homes that qualify for USDA financing. The second catch is actually favorable to most borrowers. USDA will only allow people with modest income to qualify for a mortgage. Each city and county has income limits based on the number of people living in a home. If your income falls within those limits then you could get a USDA loan. In fact, USDA is quite generous and will allow people whose income is higher than the local average using their 115% rule. For example, if you have 4 people living in your home and the income limit is $59,000 for your area then you could be approved for a mortgage even though your household annual income is $67,850. In order to get a better perspective on some of the advantages of USDA loans I reached out to Bill Gassett, a top Grafton Mass RE/MAX Real Estate Agent who has been selling homes for nearly thirty years. Bill is one of the more well known Realtors who are consistently providing helpful information to both buyers and sellers. I knew speaking with him would give our readers a better handle on why USDA loans can be an excellent choice for getting a mortgage. So take it away Bill! “Thanks very much for allowing me to share my expertise on USDA loans. Without a doubt this is a terrific loan product for those living in an area that would be considered rural. One of the major advantages of course with a USDA loan is the ability to come to the closing without a down payment. It is one of the few loan products besides a Veterans loan where that can happen. For a borrower with a good income but little money saved this is a fantastic option. 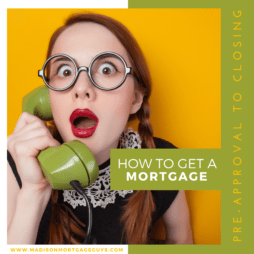 One of the other lesser know benefits of this program is the ability for a borrower to roll in their closing costs into the loan. Again, this comes in handy when a borrower does not have much money set aside for such things. Lastly, with a USDA loan you need to have decent credit but nothing out of the ordinary when compared to more traditional loan packages. There are very few disadvantages to a USDA loan but if I had to come up with anything meaningful it would be that you can’t own another home within commuting distance of the property you want to purchase. In addition, income eligibility is capped at one hundred fifteen percent of the median area income. As mentioned above this loan product can only be used in what is considered a rural area. So if you live in a major city you are out of luck. Top Central Maryland Realtors®, Chris and Karen Highland, help buyers in Frederick and surrounding areas. Even though we’re an hour from both Baltimore and Washinton D.C., both very populated areas, we have plenty of rural areas where the USDA loan is applicable. What we love about the USDA mortgage product is the fact that it is 100% financing. Combine that with the reasonable qualifying standards and low interest rates, and buyers are able to purchase a home when it often isn’t possible with other loans. Even if that’s not the case, buyers will most likely qualify for more house with the USDA loan. 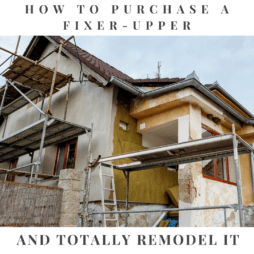 We’re working with a buyer right now who will be able to get a significantly nicer home by using the USDA loan product than she would with a conventional or FHA loan. And we’re lucky that we have several rural areas in our market where the loan can be used. Rich Cederberg has been in Albuquerque Real Estate Agent for over 10 years. Rich works with both buyers and sellers across the metro area from the East Mountains to Valencia County and everywhere in between. For many years which was proud to be a Remax agent and is now proud to be a member of the agent owned, cloud brokerage exp realty. When I first heard about the USDA loan program, I dismissed it because I don’t work rural areas. Or so I thought. It turns out that the program is available in two areas that I serve. I recently had a buyer client use the program to buy his first home in Valencia County NM. He’s a hard working young man just starting a family who wanted to keep as much cash in the bank as possible to start building the family nest egg. The ability to buy with zero down let him keep that cash in the bank while taking advantage of today’s low interest rates. So it was a double-win for him and his young family. I do want to issue a word of warning: just because a lender has a program available doesn’t mean they are experienced using it. In fat, my client had to switch lenders when the first one couldn’t get the USDA loan closed. The second lender, who I later learned does USDA loans all the time, had no problem at all. So home buyers should make sure the lender they choose is experienced with it. Dan Miller, agent with the Mad City Dream Homes real estate team in Madison, has been serving buyers with USDA home loans over the last 8 years. Miller is a big proponent of the rural housing program, because it helps make home ownership a reality for people looking to lay down roots in one of Madison’s outlying communities. Our team helps over 70 families buy a home each year, and every year we help several buy a home with the USDA program. This a great program for first-time home buyers. 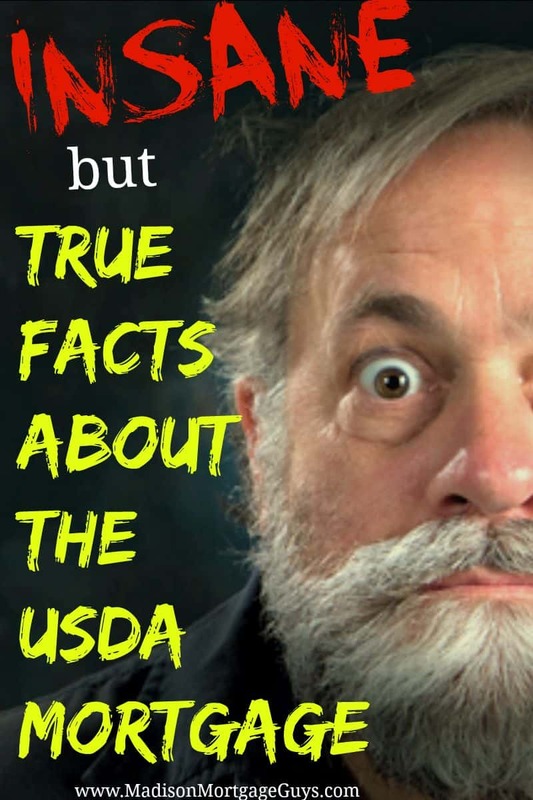 Many folks do not know this, but you can use the USDA program to buy a condo, too. Anita Clark provides residential real estate services to both buyers and sellers in Warner Robins GA and the surrounding communities. The USDA Rural Housing Mortgage Program is a fantastic grant option that helps rural areas grow their population by providing assistance to those who are willing to move to USDA identified areas. For those that want to move out of the city, or even the suburbs, this program is a tremendous resource. It also is a big benefit to those who otherwise might not be able to purchase a home because they do not have a down payment or might not be able to afford closing costs. In my area, the USDA Rural Housing Mortgage Program has been a true blessing and I make sure those that qualify know it is an option worth considering. So what are you waiting for? Go talk to your mortgage lender and ask them to help get you qualified for a USDA mortgage! Contact us below or apply online to see if you qualify for a USDA Rural Housing Mortgage in Wisconsin, Illinois, Minnesota or Florida! *3.5% down payment on $193,000, 4.125%/ 5.713% APR, 640 FICO, 30-year fixed rate mortgage. Mortgage insurance is required. Rates subject to change. Subject to credit approval.